CMA CGM has revealed plans for the development of its ports and the launch of an Asia-India-Middle East service next week at the opening of its new Taipei office today. 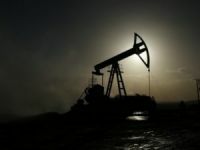 Frank Lu, chairman of CNC Line, a regional boxline the French giant acquired last April, told reporters that CMA CGM chairman Jacques Saadé had proposed to build oil tanks at several of its container terminals to stock bunkers to counter the ever-surging oil prices. Mr Saadé is serious about the idea, but has yet to decide where and when to build those tanks, according to Mr Lu. The company has investments in more than 10 terminals around the globe. Its new terminal at Xiamen Haicang will open in late 2009 or early 2010 and its port in Vietnam"s Cai Pem will be ready in 2011. The group is also stepping up its effort to collaborate with CNC Line. 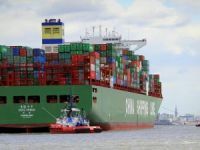 Next week, the two lines will jointly launch an Asia-India-Middle East service (CIMEX 2) with five 2,500 teu vessels, said senior vice president, Asia Europe Lines Nicolas Sartini. The weekly service, calling at southeast China"s Xiamen and Shantou, is to complement the existing CIMEX 1, which already covers Shanghai and Ningbo in the north, and Shenzhen which is further down south. The CIMEX 2 will also call at Laem Chabang (Thailand), India and Jebel Ali (Dubai). 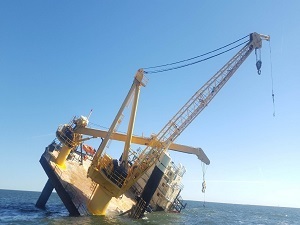 Mr Sartini said the group has no plan to inject new capacity into the transpacific market this year, as the launch of two new loops with 8,000 vessels in April with Maersk and MSC will have a ?significant effect? to the market. Mr Sartini said the firm maintained its earlier forecast of volume growth on the Asia-Europe route at 15% to 18% this year. In January, the firm recorded a 15% growth in volume on the Asia-Europe trade. ?It was a bit tough during Chinese New Year. [Volume in] February has been down obviously,? said Mr Sartini. He added that the market has been recovering fast since then. 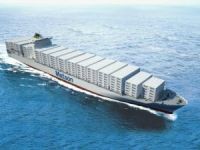 The firm plans to launch its fourth French Asia Line (FAL 4) service in June or July with China Shipping Container Lines. The partners will together deploy eight 9,500 teu vessels on the loop. 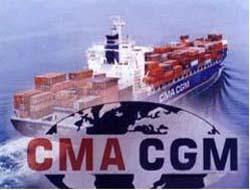 Meanwhile, CMA CGM is also grouping all its agency services in Taiwan into one entity called CNC Agencies to step up collaboration with its Taiwanese subsidiary. 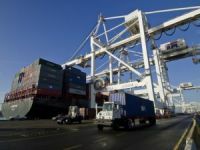 The local agency is expected to start handling the agency businesses of CMA CGM, CNC Line, ANL and Dalmas from April, according to CNC Line chief financial officer Danny Wang. CNC Line recorded a 40% drop in profit last year, to NT$420m, while revenue increased slightly from 2006"s NT$9.9bn to NT$10.9bn last year. Mr Wang attributed the fall in profit to the start-up costs of the three new India services and some other new Asia feeder services. Having moved 680,000 teu last year, 25% more than 2006, CNC Line expects volume to reach 900,000 teu in 2008. 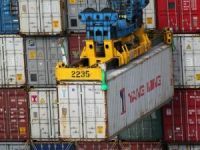 The line now has 30% of its cargoes coming from the Asian feeder services serving its French parent and the rest from the direct cargoes of its own clients.